That’s why today, we’re here to recognise the Top Mechanics in Bendigo. In 2018, AutoGuru partner mechanics in Bendigo quoted over $900,000 worth of services and repairs for AutoGuru customers, to help them better care for their cars. We’re here to recognise the Top Mechanics in Bendigo, who went above and beyond to consistently deliver amazing service experiences to their customers. Congratulations to Ultra Tune Kangaroo Flat for being AutoGuru’s top mechanics in 2018. 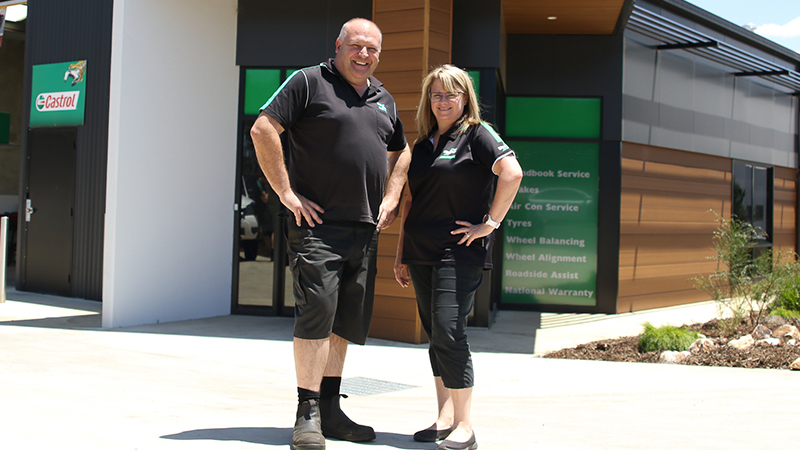 Ultra Tune Kangaroo Flat is a family owned business that has been servicing vehicles in the Bendigo Area since 2013, with over 50 Years combined experience in the Automotive Trade. Terry and the team at Ultra Tune Kangaroo Flat work on all makes and models of cars and undertake log book servicing, engine diagnostics, clutch, brakes, tyres and wheel alignments, suspension work, safety inspections, battery replacement and more. Their aim is to deliver good old fashioned service at competitive prices while delivering premium car servicing and repairs. They’ve got a 4.7 star rating on AutoGuru, with some awesome reviews from customers. Looking for a mechanic in Bendigo?